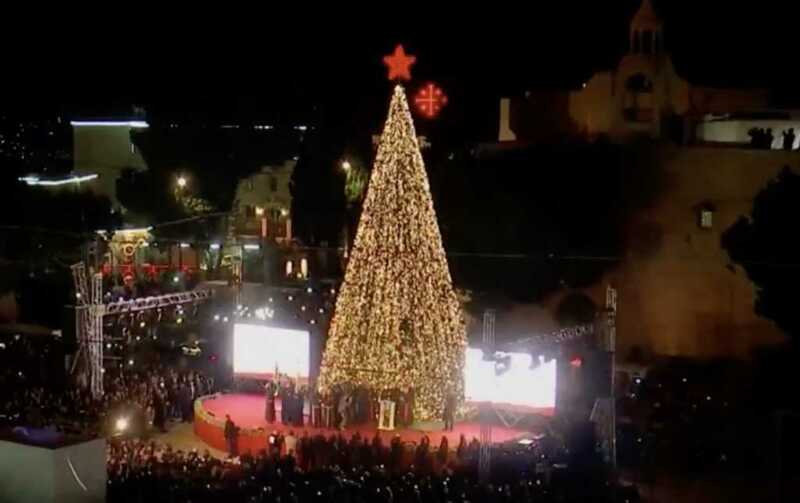 The Christmas season is well underway in Bethlehem, the biblical birthplace of Jesus Christ. Sunday marked the kick-off of the 18th annual Christmas market, which takes place in Manger Square, right outside the Church of the Nativity, according to ABC News. Thousands of people attended the holiday celebration. The Church of the Nativity is situated about six miles south of Jerusalem and marks the space believed to be Jesus’ birthplace. The religious site, first erected in 399 AD, is regarded as one of the holiest spaces in all of Christendom. The story of Jesus’ birth — and Joseph’s and Mary’s journey to Bethlehem — is in Luke 2.